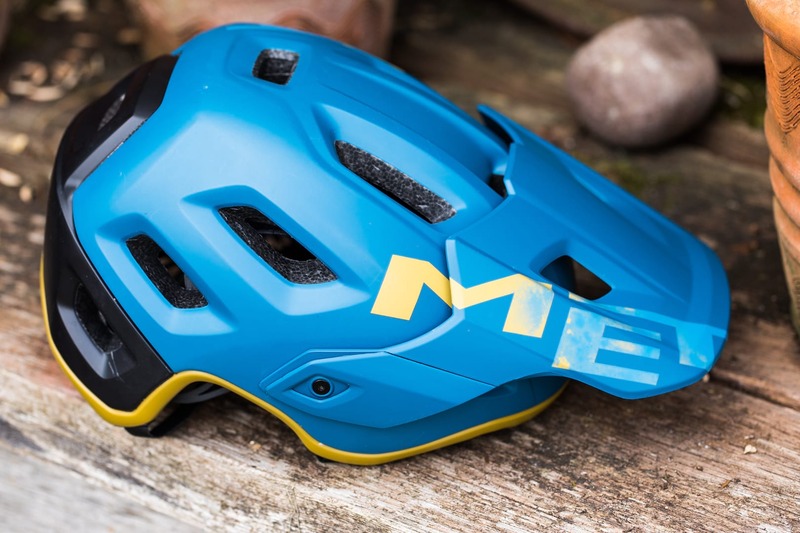 Described as ‘an all-mountain enduro helmet’, the MET Roam is designed to combine streamlined enduro styling and goggle compatibility with hours-in-the-saddle trail-riding wearability. Straight out of the box, and it’s a thumbs up for the colour combo (one of several available) which will appeal to both men and women. This is a unisex product available in three sizes. Small fits a head circumference of 52 – 56 cm, while medium is for 56 – 58 cm and large is for 58 – 62 cm sized bonces. It’s also trail bike light – weighing in at 335gm (or 360gm if you buy it with MIPS – more on that later), and feels sturdy and well made. 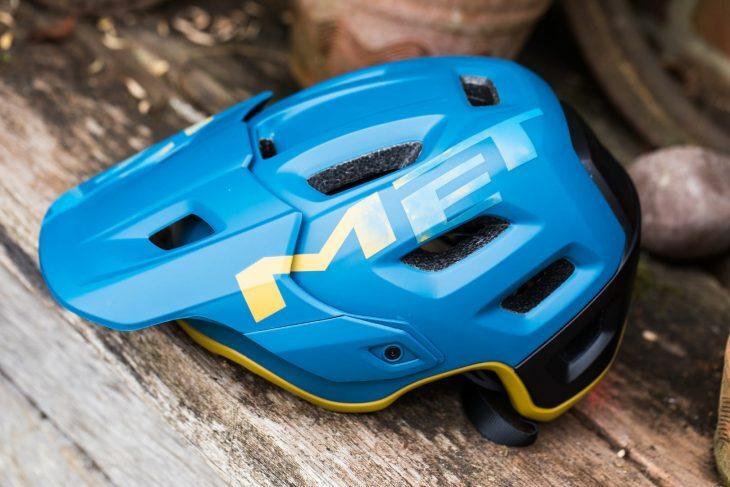 Compared to my own XC mountain bike helmet, the Roam looks a lot chunkier and there is more coverage at the back of the head and at the temples – both areas that are particularly vulnerable in the event of a crash. As you would expect from an open face helmet, it offers unhindered visibility and the streamlined long-length visor, which is slightly flexible for safety, keeps the sun and rain off your face. Even in the height of the Great British Heatwave of 2018 it offered sufficient ventilation – there are 22 vents to keep you cool and purpose-built internal channels to optimise airflow. 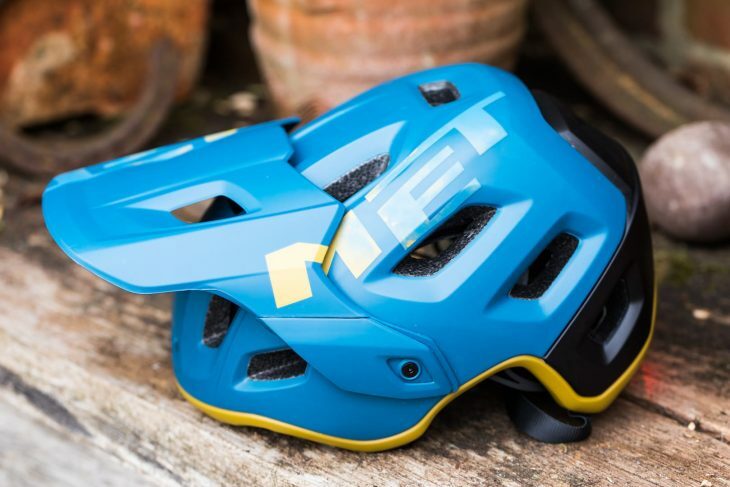 The Roam’s SAFE-T Orbital Fit System sounds like something from a Glastonbury lineup, but is in fact the size-adjustable plastic cradle that lines the helmet. 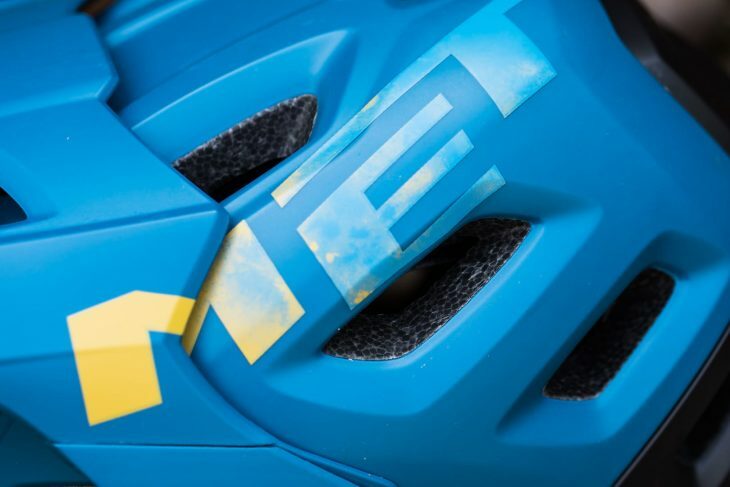 Correct fit isn’t just important for comfort but also for efficacy in the event of a crash and so it is adjustable in circumference, vertically and at the occipital region (the back bit just above your neck). 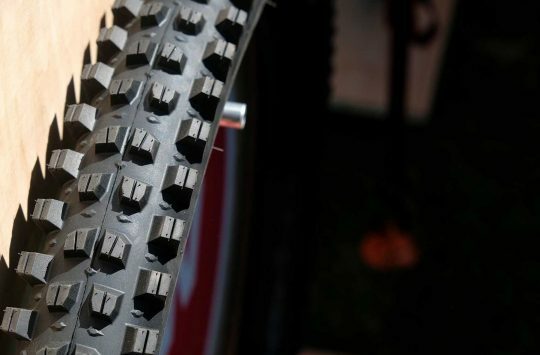 This means it fits really securely with no bobbing or swivel at all, even on lumpy descents. It is also ponytail compatible. 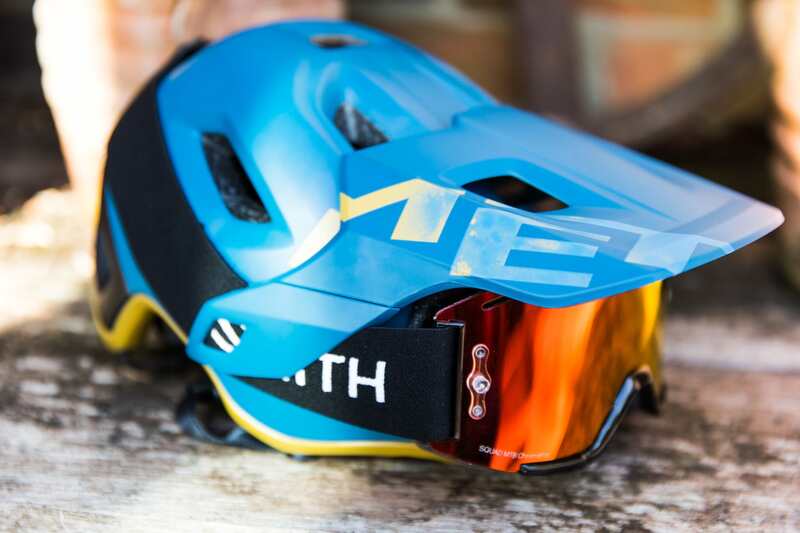 The visor is adjustable in three positions, the higher of which enables goggles to fit snugly beneath. 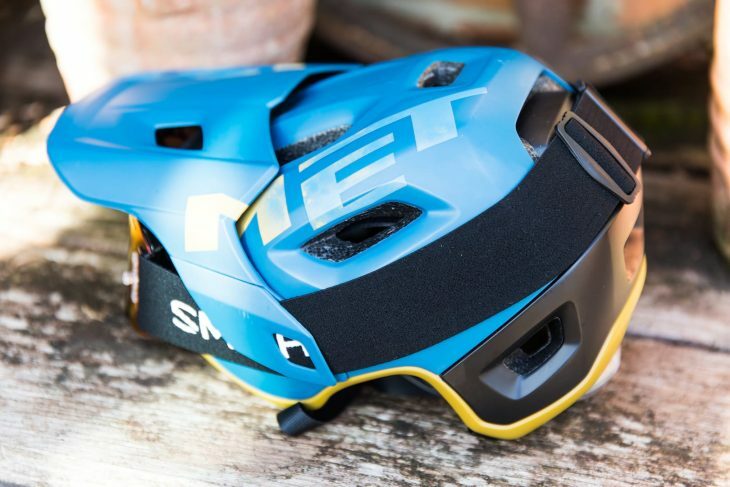 There are also flexible panels on each side of the visor and a moulded rear edge on the helmet body to hold the strap: once in place, you can wear the goggles on your face or store them under the visor – so more dangling your googles round your neck or faffing around with your helmet trying to put them back on again. 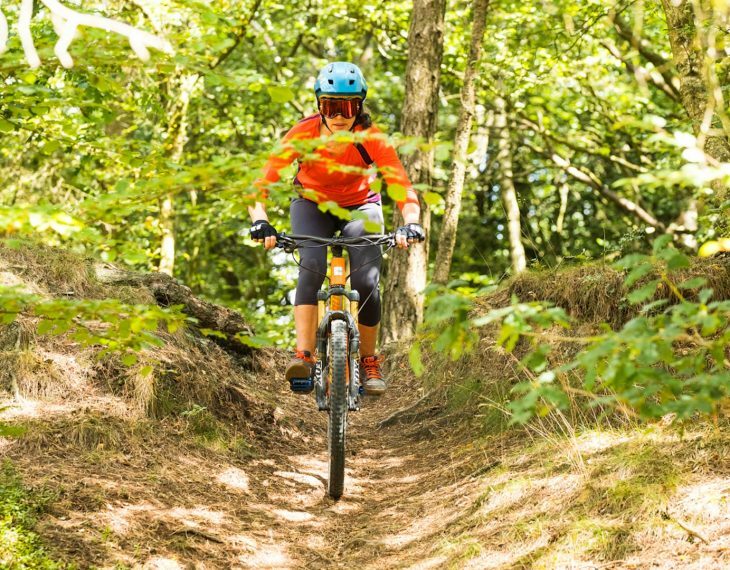 This makes the helmet really versatile for varying trail conditions, and makes losing or scratching your goggles a lot less likely. Glasses also fit well with no interference from the helmet rim. A channel beneath the top vents allows you to strap a camera to the helmet without interfering with the inner padding, should you be that rad. 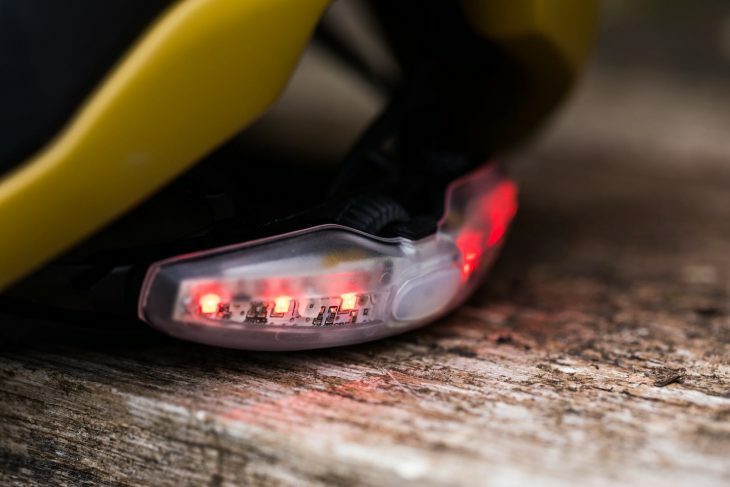 A USB Led (€29) light clips to the back of the helmet. 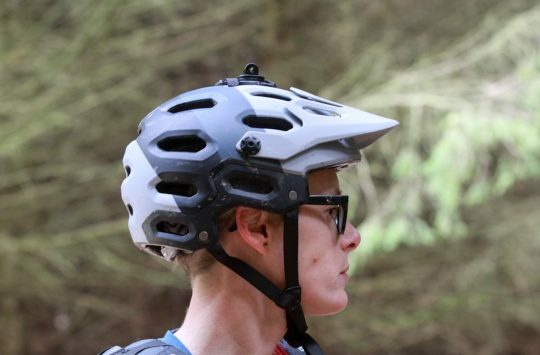 It’s a great idea for safety on the road, making yourself easy to spot in the woods, or maybe adding an interesting ‘creative dynamic’ to your evening-light GoPro clips. 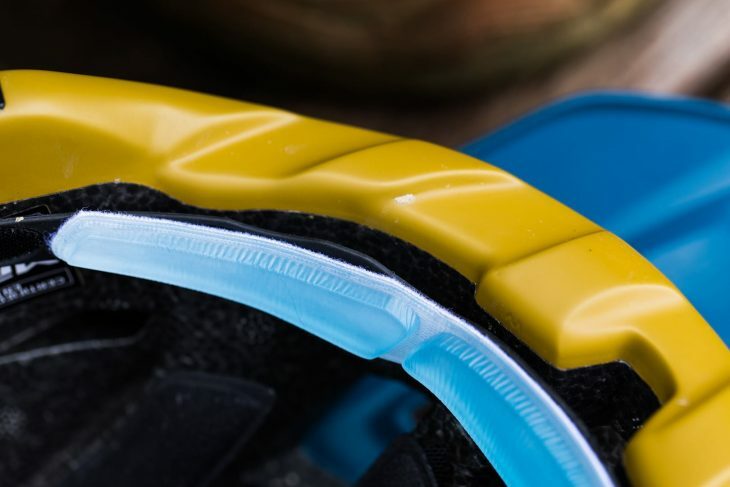 The Dualgel Front Pad (€12) is a dual density polyurethane gel pad that attaches inside the front of the helmet for ‘a snug fit and unmatched comfort’ against your forehead. It is also designed to keep your head cool and channel sweat away from your eyes. It is anti-bacterial and able to ‘maintain a neutral odour’. For me, it didn’t make a discernable difference compared to the standard padding because a) I’m just not a sweaty person and b) the helmet fit was already good. It is however designed to retain its ‘squish’ longer than conventional padding so its benefits may be more long term. You may also wish to note that this helmet is available as a Roam MIPS model, which costs an extra €20, and – funnily enough – comes with the MIPS impact protection system. 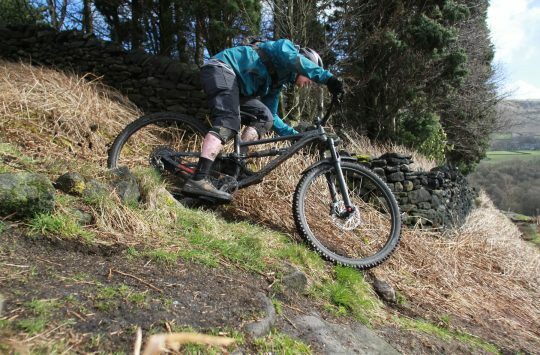 The Roam is a really versatile solution for those – like me – who don’t just stick to XC or enduro, but like to mix it up a bit. 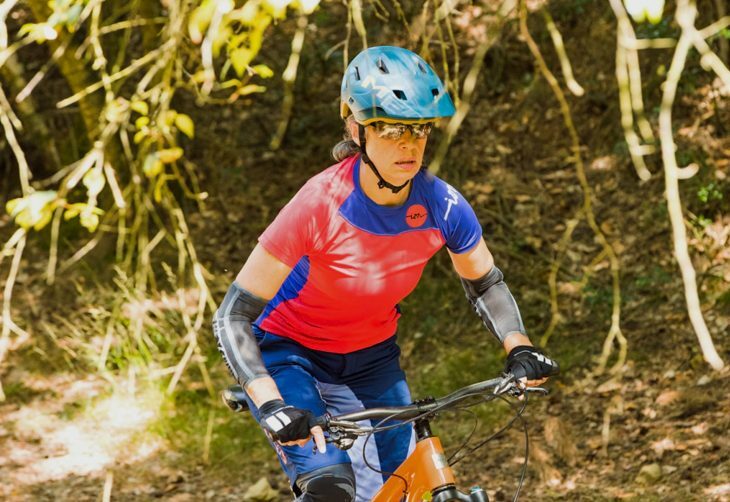 The sort of rider who rides both uphill and downhill, wants optimum safety, and who wears goggles sometimes but don’t want the stuffiness of a full-face lid for a day in the saddle – which is probably most of us. Its adjustable fit makes it exceptionally comfortable even on long rides. It is safe and secure yet cool to wear, and it makes goggles really straightforward to use. It looks great and it’s well made, you can just put it on and forget about it. It’s a great helmet. Syntace C33i Carbon Wheelset Review. Are These Lightweight German Wheels Worth Buying? No mount comes with the helmet, bit of an oversight dont you think? what glasses were used with these? I dont find the marry very well at all with my madisons or Tifosis.